Two years after the Compensatory Afforestation Fund Act (CAF) was passed in the Parliament, agitation for its retraction has reached new heights. On the second anniversary of the act, July 17, activists took to Twitter to raise their demand to repeal the act. 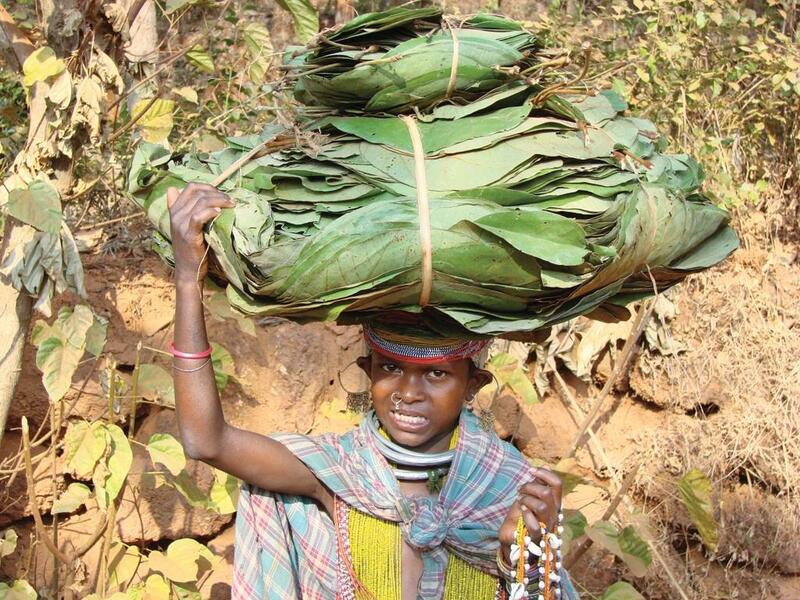 A survey conducted by Community Forest Rights-Learning and Advocacy (CFR-LA), an advocacy group shows major violations of the rights of forest dwellers and tribal communities in 17 plantations carried under CAF in eight states since 2016. For instance, in Panasuan plantation in Odisha, 56,000 trees were planted on the ancestral homeland of the Juang community, a Particularly Vulnerable Tribe, to compensate for deforestation for iron ore mining, says Sanghamitra Dubey of CFR-LA. Panasuan is a fifth schedule area and the Juangs have filed a Habitat Rights entitled under FRA for the whole area. FRA ensures that forest dwellers cannot be evicted till their rights are settled but the Juangs were displaced for the plantation. “If this plantation has been carried out without free, prior, and informed Consent from the Juangs, then it seems to be a serious case of displacement of Particulary Vulnerable Tribal Groups, which is a punishable offence under the Prevention of Atrocities Act,” Dubey says. Apart from ground research, the group used Google Earth images to show how plantation drives have had a negative impact on natural forests. 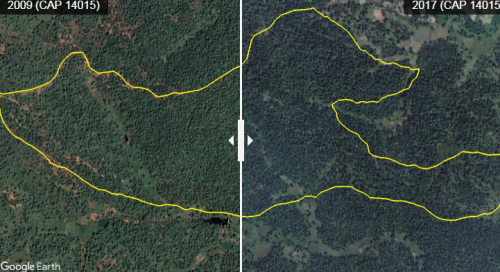 In Andhra Pradesh and Karnataka, natural forest was cleared, shows the survey. "Another pattern, majorly featured in the 2013 Comptroller and Auditor General of India are 'ghost plantations.' Such plantations--where records show money was spent but satellite imagery reveals no work whatsoever--were common across states like in Matiyadand Plantation in Chattisgarh," Dubey says. The Matiyadand project in Chattisgarh started in 2011 on 50 ha of "degraded notified forest" land. Rs. 48,20,000 was alloted to plant 55,000 saplings of four species but satellite images show no change in seven years, according to the survey. The idea behind the act is to compensate for the loss of forest land due to diversions for non-forest related works. The CAF act creates a compensatory fund, as the name suggests, by collectng money from the parties getting the forest land diverted. This fund has to be used for undertaking plantation activity. The fund includes money for compensatory afforestation, net present value of forest (NPV), and other project specific payments. However, the act has been at the centre of controversy since the beginning. It failed to ensure former environment minister, Anil Madhav Dave's promise made in the Parliament that the act will ensure Gram Sabhas will be consulted before taking up plantation work. In fact, after the bill was passed, a senior Ministry of Environment, Forest, Climate Change (MoEFCC) had told Down to Earth about the irrelevance of consulting communities. “The area where land gets diverted are consulted and given dues, what is the need to ask the Gram Sabha where the plantation is going to take place? It is government’s land after all,” a highly placed official had said. While the ministry is sure about the land on which plantations will take place, cases from across the country show that tribal lands are being used for the afforestation drive. "We recommend an independent authority revise not only Compensatory Afforestation activities but all forest restoration activities of forest departments. We also recommend alternative community-based mechanisms," said Dubey.